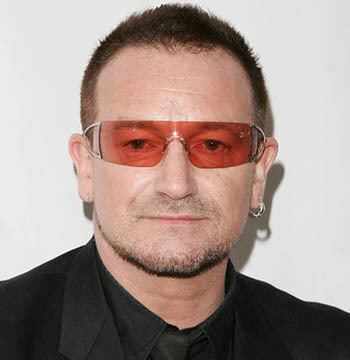 Paul David Hewson, OL (born 10 May 1960), known by his stage name Bono , is an Irish singer-songwriter, musician, venture capitalist, businessman, and philanthropist. He is best known as the lead vocalist and primary lyricist of rock band U2. 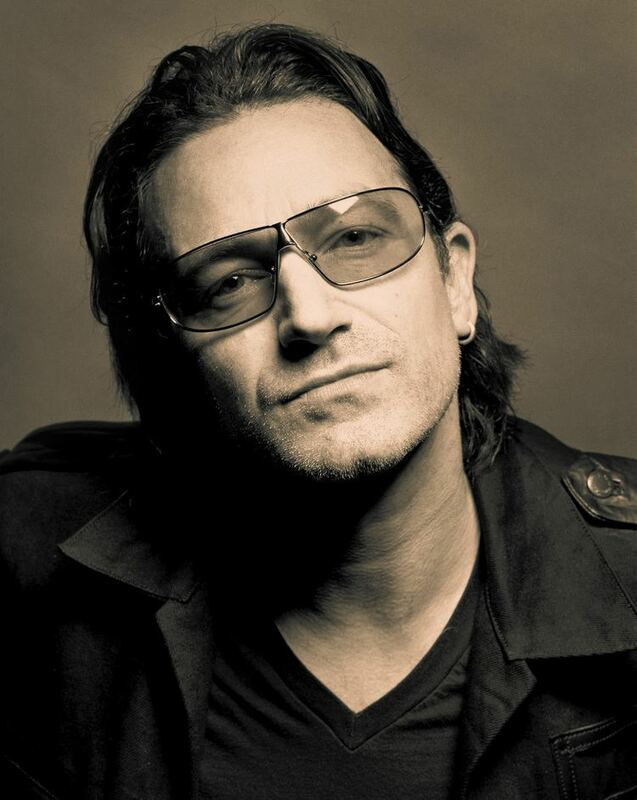 Bono is widely known for his activism for social justice causes, both through U2 and as an individual. He is particularly active in campaigning for Africa, for which he co-founded DATA, EDUN, the ONE Campaign, and Product Red. In pursuit of these causes, he has participated in benefit concerts and met with influential politicians. 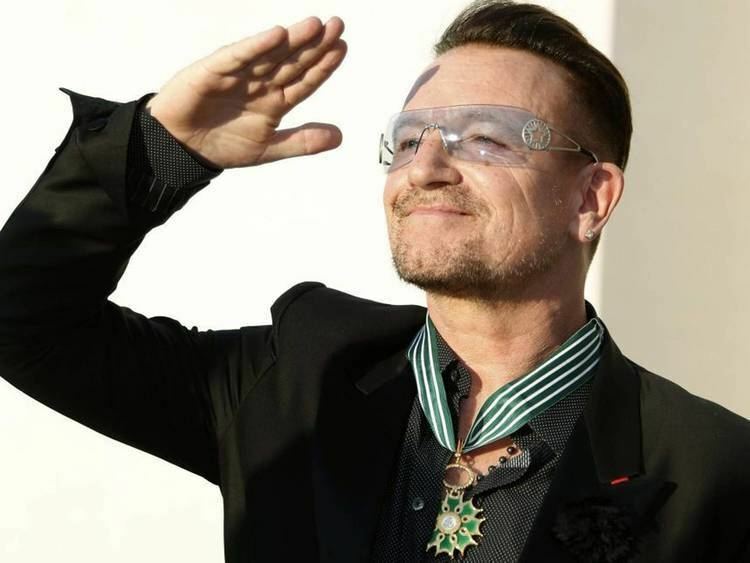 Bono has been praised for his philanthropic efforts; he was granted an honorary knighthood by Elizabeth II of the United Kingdom for "his services to the music industry and for his humanitarian work", and has been made a Commandeur of the French Ordre des Arts et des Lettres (Order of Arts and Letters). 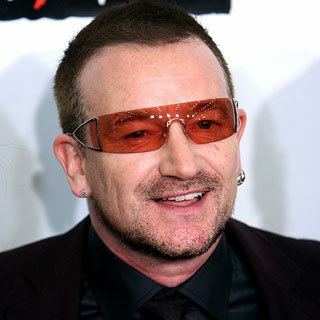 In 2005, Bono was named one of the Time Persons of the Year. Outside of the band, he has recorded with numerous artists. He has collaborated with U2 bandmate the Edge on several projects, including: songs for Roy Orbison and Tina Turner; the soundtracks to the musical Spider-Man: Turn Off the Dark and a London stage adaptation of A Clockwork Orange; and the refurbishment of the Clarence Hotel in Dublin. He is Managing Director and a Managing Partner of the private equity firm Elevation Partners, which has invested in several companies. Bono is married to Alison Hewson (née Stewart). The couple have four children: daughters Jordan (born 10 May 1989) and Memphis Eve (7 July 1991) and sons Elijah Bob Patricius Guggi Q (17 August 1999) and John Abraham (20 May 2001). 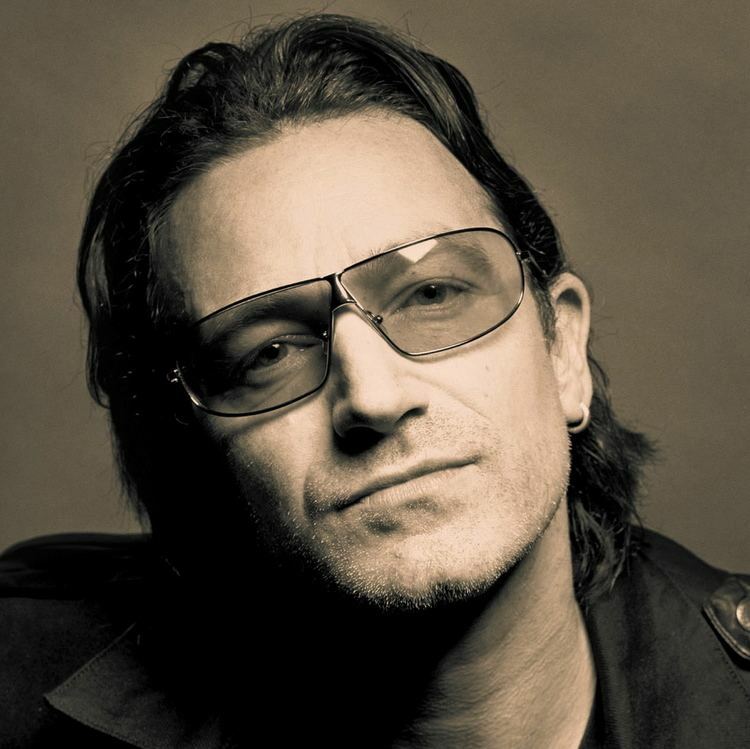 Bono writes the lyrics for almost all U2 songs, which are often have social and political themes. His lyrics frequently allude to a religious connection or meaning, evident in songs such as "Gloria" from the band's album October and "I Still Haven't Found What I'm Looking For" from The Joshua Tree. 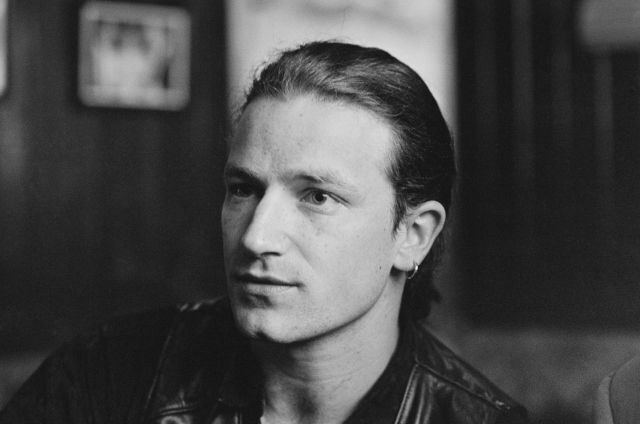 During the band's early years, Bono was known for his rebellious tone which turned to political anger and rage during the band's War, The Joshua Tree and Rattle and Hum eras. Following the Enniskillen bombing that left 11 dead and 63 injured on 8 November 1987, the Provisional IRA paramilitaries threatened to kidnap Bono. IRA supporters also attacked a vehicle carrying the band members. These acts were in response to his speech condemning the Enniskillen bombing during a live performance of "Sunday Bloody Sunday". The singer had been advised to cut his on-stage outburst from the Rattle and Hum film, but it was left in. Also featured in the film is footage of Bono spray-painting a monument during an outdoor performance; Bono was forced to pay a fine. U2's sound and focus dramatically changed with their 1991 album, Achtung Baby. Bono's lyrics became more personal, inspired by experiences related to the private lives of the members of the band. During the band's Zoo TV Tour several of his stage personas were showcased; these included "The Fly", a stereotypical rock star, the "Mirror Ball Man", a parody of American televangelists, and "Mr. MacPhisto", a combination of a corrupted rock star and the Devil. During performances he attempts to interact with the crowd as often as possible and is known for pulling audience members onto the stage or moving himself down to the physical level of the audience. This has happened on several occasions including at the Live Aid concert in 1985 where he leapt off the stage and pulled a woman from the crowd to dance with her as the band played "Bad", and in 2005 during U2's Vertigo Tour stop in Chicago, where he pulled a boy onto the stage during the song "An Cat Dubh / Into the Heart". Bono has often allowed fans to come on stage and perform songs with the band. In addition to his work with U2, he has collaborated with Frank Sinatra, Johnny Cash, Willie Nelson, Luciano Pavarotti, Sinéad O'Connor, Green Day, Tom Petty, Roy Orbison, Bob Dylan, Patti Smith, Tina Turner, B.B. King and Zucchero. He has recorded with Ray Charles, Quincy Jones, Kirk Franklin, Bruce Springsteen, Tony Bennett, Clannad, The Corrs, Wyclef Jean, Kylie Minogue, Carl Perkins, Herbert Grönemeyer, Jay-Z and Rihanna, as well as reportedly completing an unreleased duet with Jennifer Lopez. On Robbie Robertson's 1987 eponymous album, he plays bass guitar and vocals. On Michael Hutchence's 1999 posthumous eponymous album, Bono completed a recording of "Slide Away" as a duet with Hutchence. Bono recently collaborated with African stars like D'banj, Waje and Omotola Jalade Ekeinde for the women empowerment song titled "Strong Girl". In 2005 he recorded a version of "Don't Give Up" with Alicia Keys, with proceeds going to Keep a Child Alive. On 3 April 2005, Bono paid a personal tribute to John Paul II and called him "a street fighter and a wily campaigner on behalf of the world's poor. We would never have gotten the debts of 23 countries completely cancelled without him." Bono spoke in advance of President Bush at the 54th Annual National Prayer Breakfast, held at the Hilton Washington Hotel on 2 February 2006. 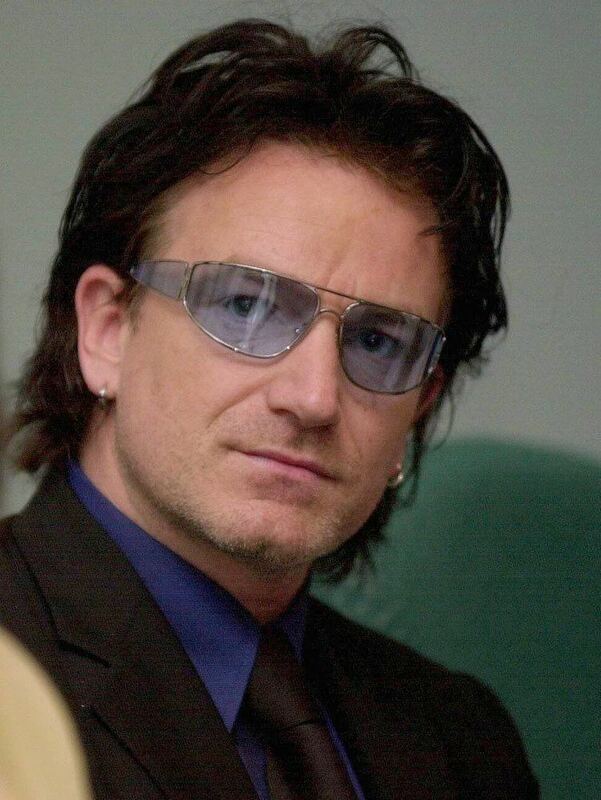 In a speech containing biblical references, Bono encouraged the care of the socially and economically depressed. His comments included a call for an extra one percent tithe of the United States' national budget. He brought his Christian views into harmony with other faiths by noting that Christian, Jewish, and Muslim writings all call for the care of the widow, orphan, and stranger. President Bush received praise from the singer-activist for the United States' increase in aid for the African continent. Bono continued by saying much work is left to be done to be a part of God's ongoing purposes. 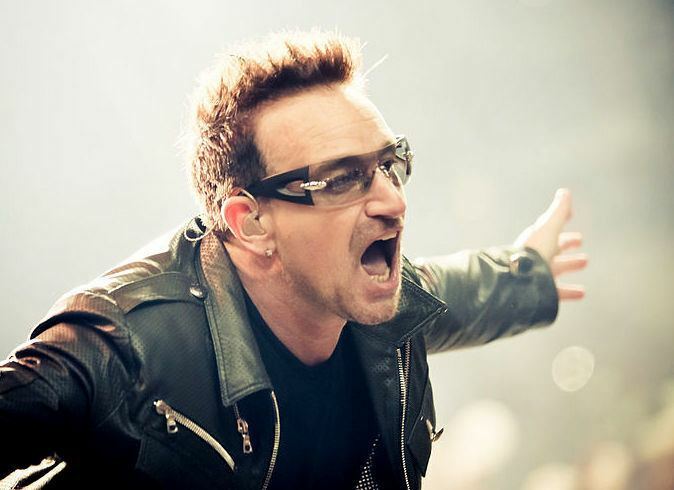 Bono is on the board of the Elevation Partners private-equity firm, which attempted to purchase Eidos Interactive in 2005 and has since gone on to invest in other entertainment businesses. 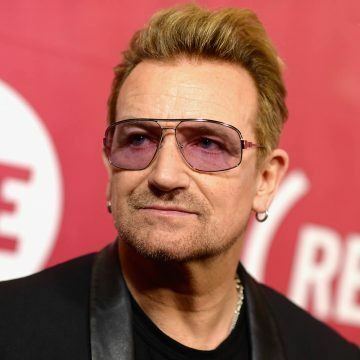 Bono has invested in the Forbes Media group in the US through Elevation Partners. Elevation Partners became the first outsider to invest in the company, taking a minority stake in Forbes Media LLC, a new company encompassing the 89-year-old business which includes Forbes magazine, the Forbes.com website and other assets. The terms of the deal were not disclosed, but reports said the stake was worth about €194 million ($250m). The firm also owns a 1.5 percent stake in social networking site Facebook, originally purchased for $210m. 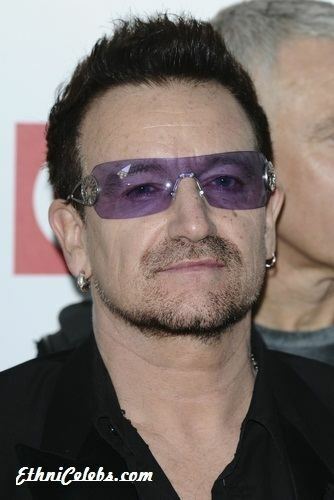 Although it was reported that Bono's stake was valued at approximately US$ 1 billion in February 2012, a 2015 article in Forbes stated that this estimate was based on an incorrect attribution of shares.